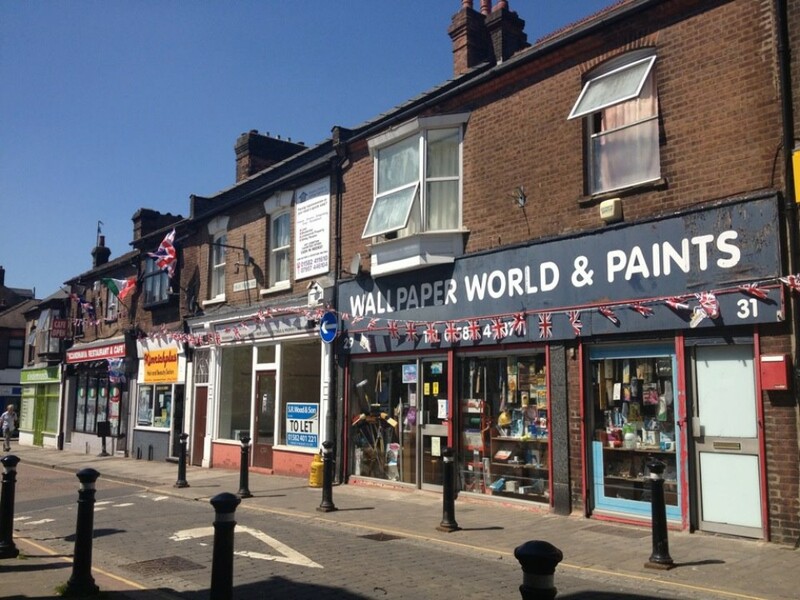 My overly optimistic friend from London who came round the other night said, ‘Oh, they’ll demolish the building now and put something good in its place, trendy flats or some such.’ No, no, I replied: most likely it will just be another kebab shop. 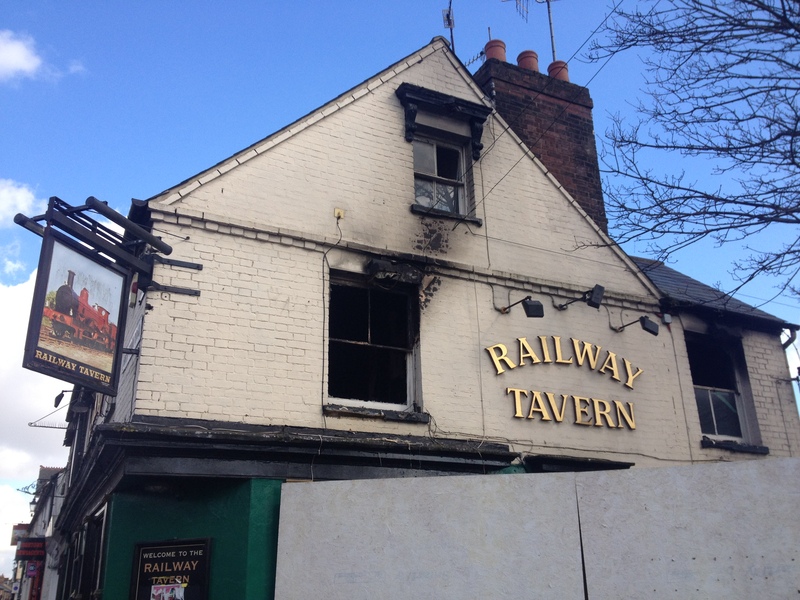 The Railway Tavern in the aftermath of an arson attack. That last comment gets me to thinking that I should probably devote a post to kebab shops at some point, though I may have to outsource it to local friend and kebab connoisseur, Grumbly Bob. I should say that I am not instinctively opposed to kebabs; my reluctance to stop in at one of our several kebab and fast-food outlets has more to do with perceived quality (hygiene standards, quality and provenance of meat) and nutritional value than the concept of kebabs per se. I love Turkish and middle-Eastern food generally, and a fine kebab (in the sense of skewered, grilled cubes of meat, cheese and vegetables) is a thing of joy. Further into town (just past the train station) I can wholeheartedly recommend the delicious meze and kebabs at the Desert’s Rose (though I’ve never totally reconciled myself to their frankly unappealing ‘sculptural stucco’ on the front wall). What I find myself saying, then, is that in some sense I would love there to be more fast food outlets in Luton, especially – for my purposes – around the High Town area, but I would like them to be better than they are. I never buy tasteless (and oddly ‘damp’) Chorleywood Bread Process sliced white bread to eat at home: why would I pay extra to eat that in a café? Similarly: free range eggs, fair-trade teabags; sustainably reared, traceable meat. But… this is for another time. This entry was posted in High Town and tagged crime, fast food, High Town Road, kebabs, Local friend Grumbly Bob, pubs, quality, train station by Cappuccino Police. Bookmark the permalink. Not the look the rest of High Town would aspire to.